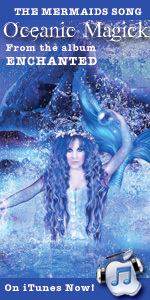 You can read regular contributor, Doreen Virtue’s ‘Magical Mermaids & Dolphins’ Oracle card column, where she selects a card and explains what it means for us over the coming months. 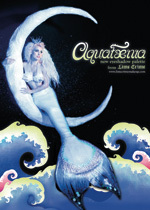 Plus there’s a brilliant article by Mer-Fae Hannah Titania, who many of you will recognise from M&M. 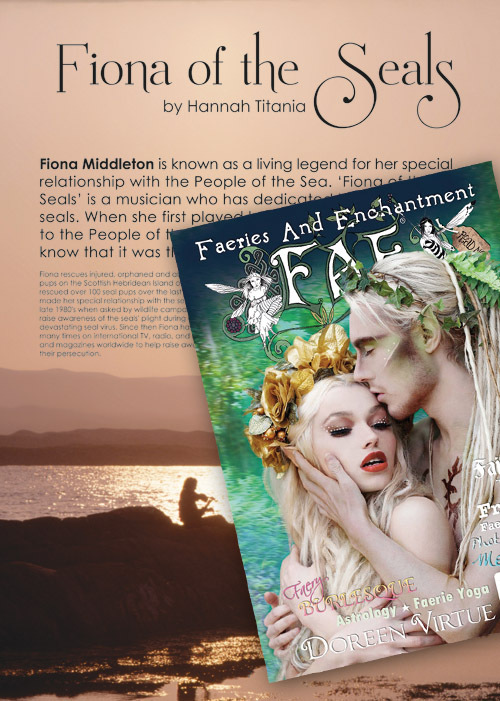 Hannah interviews her mother who is also known as ‘Fiona of the Seals‘. Fiona is known throughout the world for her work with seals, and she has been serenading and singing to them for many years on the remote Scottish Island. 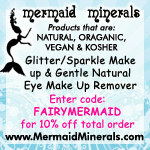 You’ll even find mermaids on the ‘Fairy News’ pages of FAE Magazine! Photo by Sian Elizabeth Roberts, Artwork- Ian Hencher, MUA: Alice Harman. FAE Magazine, issue 26 – spring 2014.